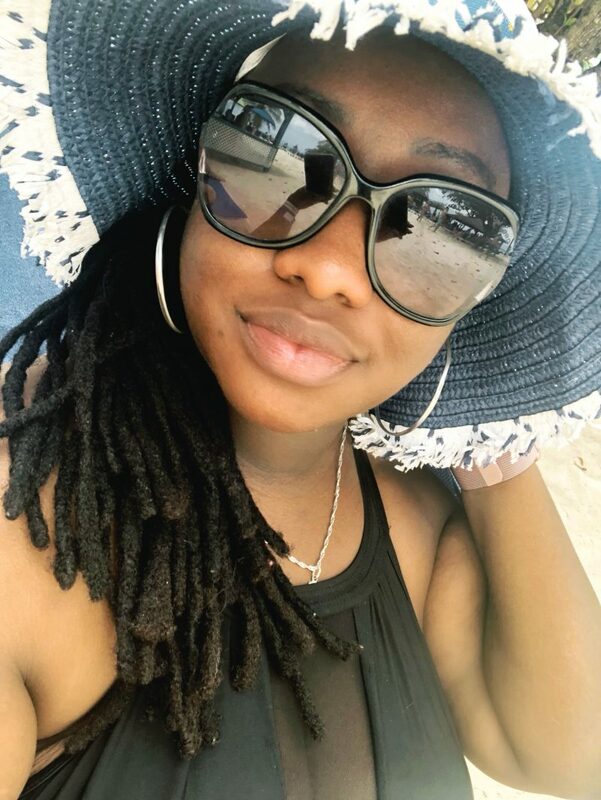 ** I recieved this product complimentary from Influenster for testing and review purposes. All opinions are my own. 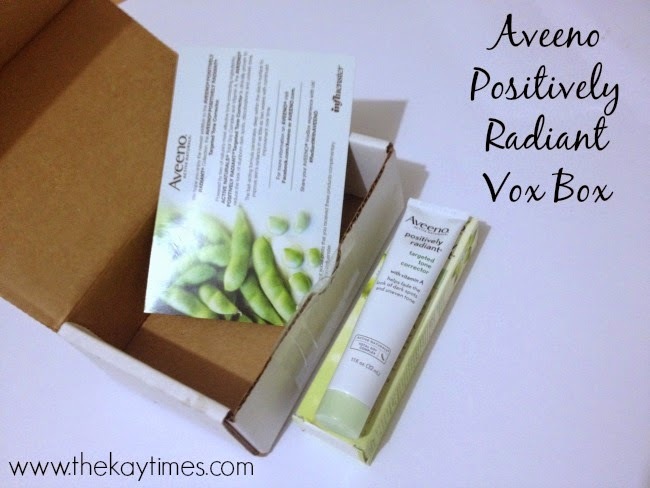 I signed up for Influenster at the end of May, and I was pretty excited when I found out that I was receiving the Aveeno Positively Radiant Vox Box. My box only had one item but I didn’t mind because it’s actually a product that could prove useful for me. I received the Positively Radiant Targeted Tone Corrector. I’ve seen this product around but never tried it before or any of the Aveeno brand to be honest. 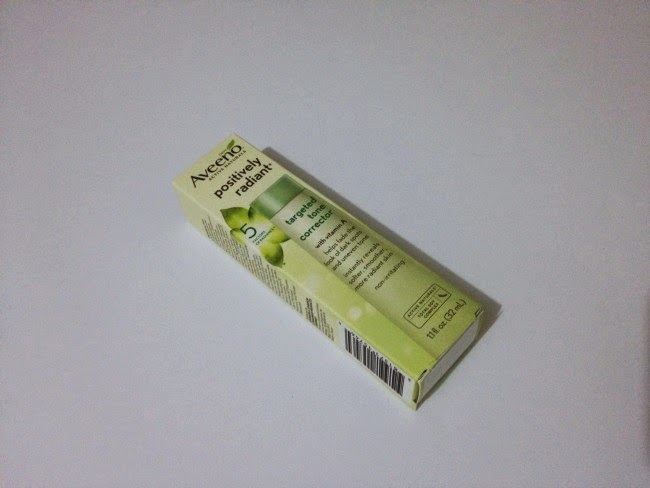 Still, I was pretty stoked to get it because although I don’tnecessarily suffer with acne, I do have some two toned areas on my face and this product is supposed to cater to stubborn dark spots, discolourations, and uneven tones. Yeah baby … just what mama needed! I’ve only been using it for a week per the instructions on the box (apply to dark spots and areas with uneven tone in the AM and PM before your moisturiser) and I can see a slight difference already. However, I’ll hold off on saying that I’m completely sold. What I will say is that you can instantly feel it working. There’s a noticeable tingly sensation as soon as you apply it and I have not had any adverse reactions. I hope that in a week (they say it takes two weeks to see a difference) the effects of it working are more significant. For now I’m adding it to my morning and nightly routine and I think its worth checking out! This product retails for $14.99. 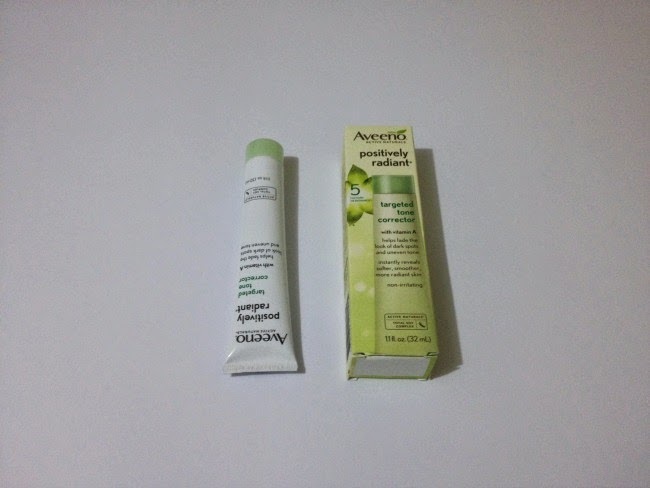 For more info visit Aveeno.com or https://www.facebok.com/aveeno. Have a great Tuesday guys!! This week is flying by already! PS. for all those who emailed me yesterday. Thanks so much. You guys really know how to make someone smile! I have the best readers/blog friends. You guys seriously rock! Previous Post Secrets of Blogging tag. Next Post I’m ready to party.